Winter art and winter painting ideas for kids and teens make it easy to get creative on rainy days and snow days. 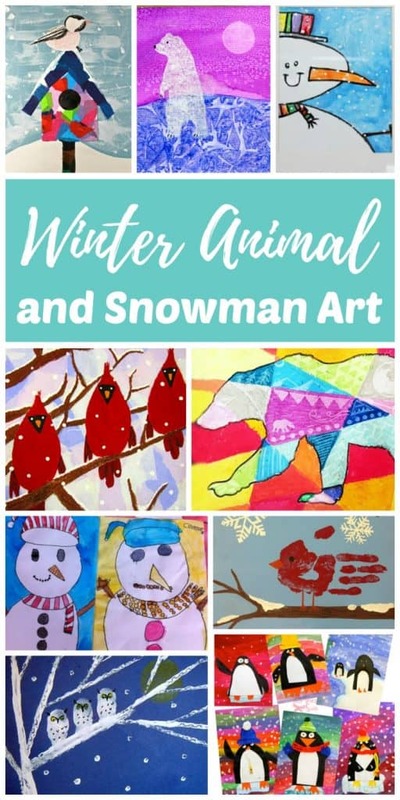 This collection of winter art ideas for children includes winter tree art, snowman art, winter animal art, snowflake art, and winter landscape art project ideas! Keep the kids busy this winter with any of these fun winter art projects for children. 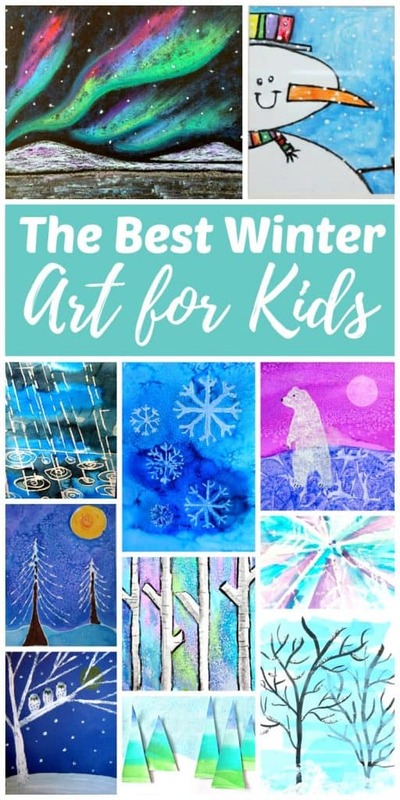 This post originally contained 10 children’s winter art projects–It has been updated to include even more kids winter art! I hope you find some inspiration to create some beautiful winter art with kids after seeing these amazing examples. 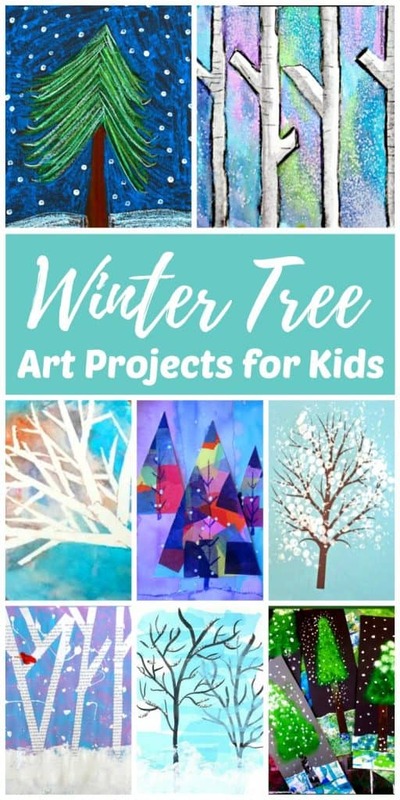 Little ones will need guidance from a parent or teacher to complete these winter art projects while older children can complete most of these winter painting ideas their own. 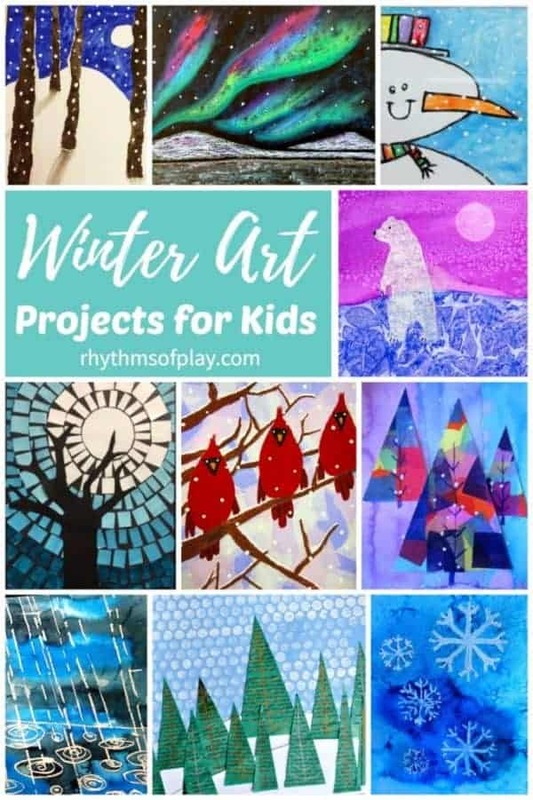 The winter art projects below are placed into categories so it is easy to find the type of winter art ideas for kids you are looking for. Click on the creator of each art idea to see the full tutorial for each children’s winter art project. 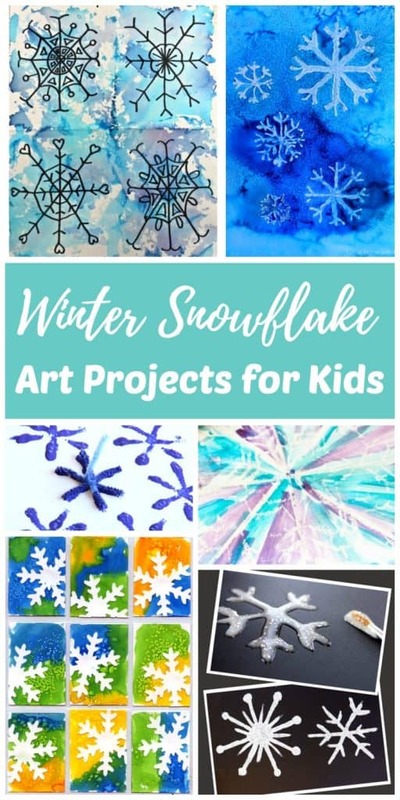 Have fun connecting with the kids creating winter art! 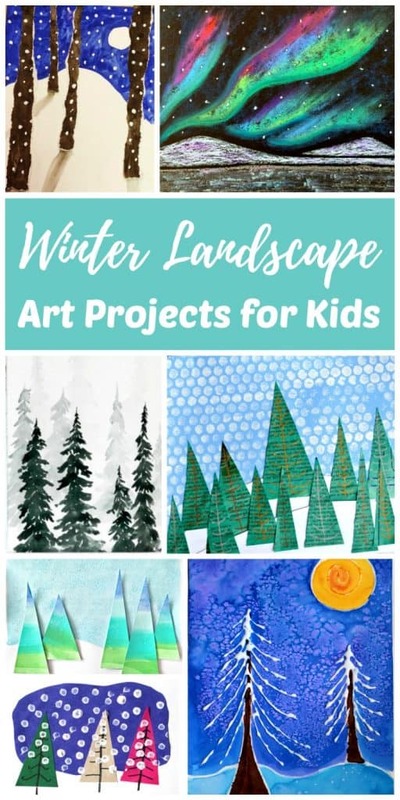 Kids and teens love winter art for kids with trees and landscapes. More winter tree art projects can be found in “Winter Landscape Art Projects” below. There were so many gorgeous winter tree projects I had to separate them into “winter tree art projects” and “winter landscape art projects.” Each of the landscapes below consist of trees except for one art project and many of the trees in the section above could also be considered landscapes or created as landscapes. What could be more fun than learning about winter animals and then working on a winter animal art project? Any of these would make a great addition to a winter themed homeschool unit. 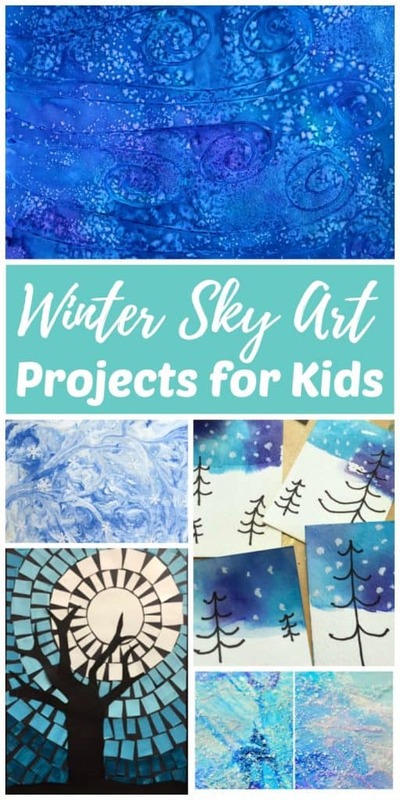 Winter skies may not be regarded as the most beautiful of the year, but the winter sky art projects below will put that idea to the test! 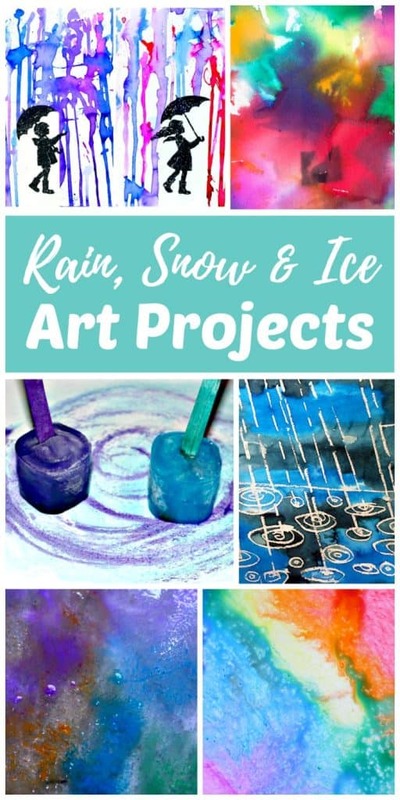 Most of the winter art projects featured below use real rain, snow, and ice to create beautiful winter art! Snowflake art projects are listed in their own category below. Snowflakes are like winters butterflies. Help your children learn about symmetry and create gorgeous patterns making winter snowflake art with the kids! Another fun seasonal project is this Four-Season Hand and Fingerprint Tree. 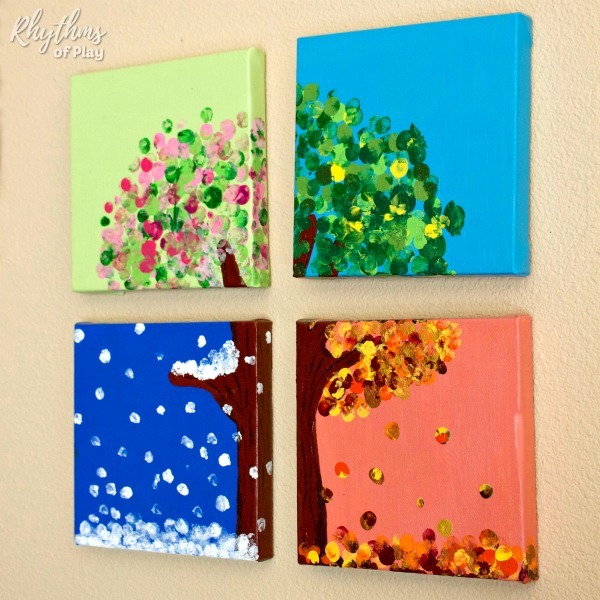 Create all four seasons using four canvases or simply create a winter handprint tree with one piece of paper or canvas. Another option is to make a regular tree with fingerprints for snow. Click the link to see the complete tutorial! Since Christmas occurs at the beginning of the winter, we have decided to include a link to our Christmas art round-up. 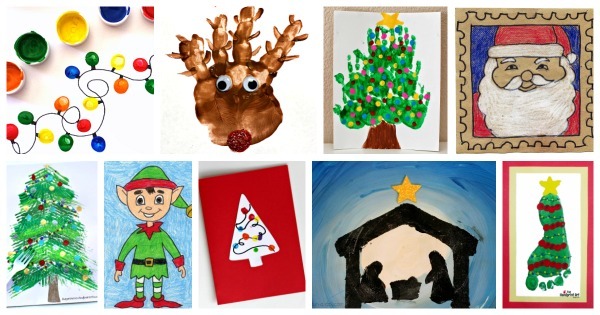 Pop over to have a look at this collection of fun and easy Christmas Art Projects for Kids! We have collected lots of fun Christmas art ideas including cute Christmas handprint, footprint, and fingerprint art complete with fingerprint lights, handprint carolers, and fingerprint snowmen that the kids will LOVE! Related: Rainbow Art Projects Kids LOVE! Finish off the winter with some fun Valentine’s Day art ideas! 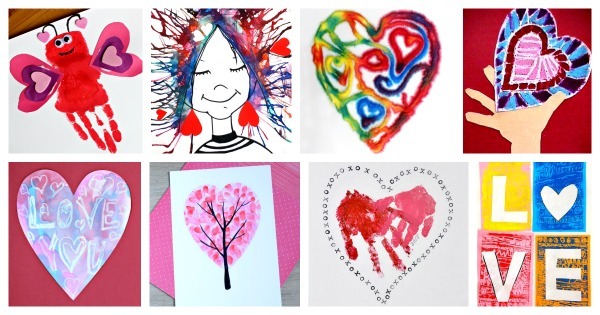 Click on the link to see this awesome collection of Valentine’s day handprint, footprint, fingerprint and heart art projects and painting ideas! Creating winter art is a fun way to connect with nature during the colder winter months. For more fun winter ideas be sure to check out winter solstice celebration ideas and our winter bucket list seasonal activity guide. You may also like to have a look at our whole collection of fun art and craft ideas for kids. Learn more about Rhythms of Play HERE! These are beautiful!That birch tree project is going to be first on my list to try out! I am very excited to try the Northern Lights with my older adults in skilled nursing and rehab. It’s a neat little project that is simple, promotes creativity, hard to do wrong, and isn’t too childish for adults. Several of these others are going in my bookmarks, too. Thanks for the compilation! So glad you appreciate the resource Di! Yes, although I have created this post for kids many of the projects are wonderful for adults too. My daughter and I love doing art together. It’s a great way to spend time connecting. 🙂 Enjoy the projects!